For Members: Please place Entry forms along with Entry Fee in the box in the Member’s Lounge, with cheques made payable to Rotary Club of Cumbernauld. 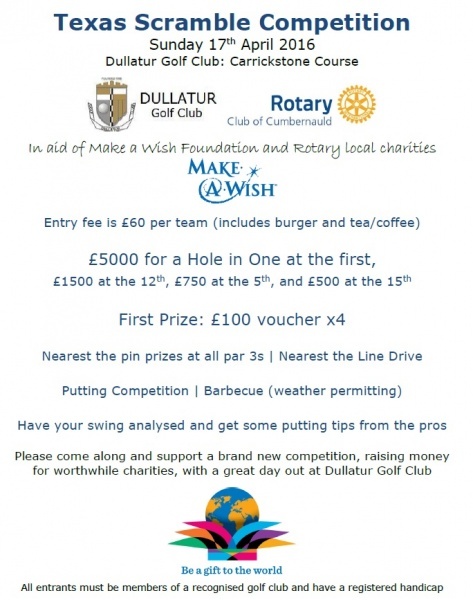 For Non Members: Please send Entry forms and fees to Rotary Competition, Dullatur Golf Club, 1A Glen Douglas Drive, Cumbernauld, North Lanarkshire, G68 0DW. 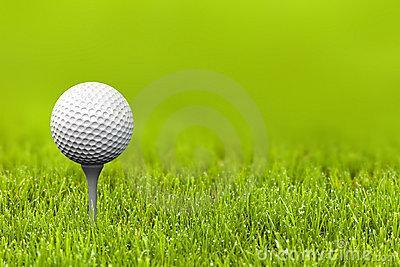 1 The competition is open to all Golfers with a recognised handicap. 2 Ladies and Gents can have separate or mixed teams. Ladies will play from Ladies tees and have an additional three shots added to their handicap, to a maximum of 36. Gents’ handicap maximum is 28. 3 Handicap allowance will be a combined team handicap divided by 10. 4 Play will commence at 8:00am approximately. Last tee time is approximately 2:30pm. 5 The competition will take place on the Carrickstone course. 6 Competitors will not be eligible to win more than one major prize. 7 The competition will be played according to the rules of golf as approved by the R&A, and the local rules of Dullatur Golf Club. The decision of the Dullatur Competition Committee on all matters relating to the competition and play therein shall be final and binding. 8 Entries will close after the allocation of all available times, with a reserve list thereafter.